Meinl Artisan Edition Tambourine withSteel Jingles 2 Row 10 in. 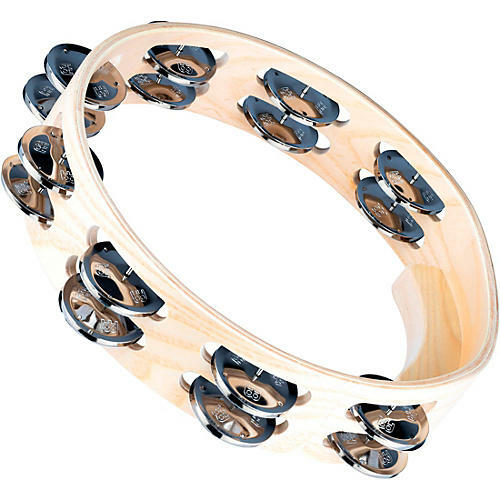 Precision-made, American White Ash tambourine with an airy, shimmering sustain. Meinl Artisan Edition Tambourines are crafted to suit the needs of discerning professional musicians. Special profile jingles deliver clarity and richness. The attack is airy, yet punctuated with a shimmering sustain. These artisan frames are made from American Ash wood with an ergonomic grip and are accented by an elegant hot-branded logo.